This page A True Story is part of the speculative fiction series. True History or True Story is a travel tale by the Greek-speaking Syrian author Lucian, the earliest known fiction about travelling to outer space, alien life-forms and interplanetary warfare. Written in the 2nd century, the novel has been referred as a work of proto-science fiction. The work was intended by Lucian as a satire against contemporary and ancient sources, which quote fantastic and mythical events as truth. In True History, Lucian and a company of adventuring heroes sailing westward through the Pillars of Hercules (the Strait of Gibraltar) in order to explore lands and inhabitants beyond the Ocean, are blown off course by a strong wind, and after 79 days come to an island. This island is home to a river of wine filled with fish, and bears a marker indicating that Heracles and Dionysos have traveled to this point, along with normal footprints and giant footprints. 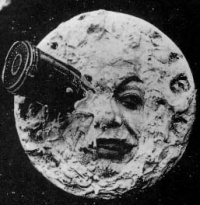 Shortly after leaving the island, they are lifted up by a giant waterspout and deposited on the Moon on the eighth day. 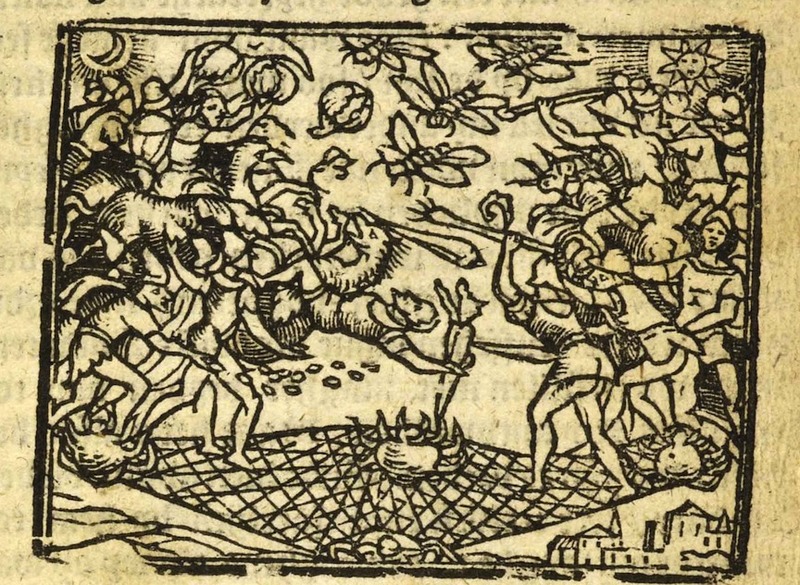 There they find themselves embroiled in a full-scale interstellar war between the king of the Moon and the king of the Sun over colonisation of the Morning Star, involving armies which boast such exotica as stalk-and-mushroom men, acorn-dogs ("dog-faced men fighting on winged acorns"), and cloud-centaurs. Unusually, the Sun, Moon, stars and planets are portrayed as locales, each with its unique geographic details and inhabitants. The War is finally won by the Sun's armies clouding the moon over. Details of the moon follows, there are no women, and children grow inside the calf of men. After returning to the Earth, the adventurers become trapped in a giant whale; inside the 200-mile-long animal, there live many groups of people whom they rout in war. They also reach a sea of milk, an island of cheese and the isle of the blessed. There, he meets the heroes of the Trojan War, other mythical men and animals, and even Homer. They find Herodotus being eternally punished for the "lies" he published in his Histories. After leaving the Island of the Blessed, they deliver a letter to Calypso given to them by Odysseus explaining that he wishes he had stayed with her so he could have lived eternally. They then discover a chasm in the Ocean, but eventually sail around it, discover a far-off continent and decide to explore it. The book ends rather abruptly by Lucian saying that their adventure there will be the subject of following books. Lucian's True History eludes a clear-cut literary classification. Its multilayered character has given rise to interpretations as diverse as science fiction, fantasy, satire or parody, depending on how much importance scholars attach to Lucian's explicit intention of telling a story of falsehoods. Generally speaking, authors concentrating on science fiction topoi are more willing to classify True History as part of the former genres, while those stressing Lucian's satirical motives are more inclined to view his work under the latter premises. In the later view, Lucian intended his story to be a form of literary criticism, a satire against contemporary and ancient sources which quote fantastic and mythical events as truth. He mentions the tales of Ctesias, Iambulus, and Homer and states that "what did surprise me was their supposition that nobody would notice they were lying." Many characters and events are exaggerated to ridiculous ends to mock the original tellings. As noted by classicist B.P. 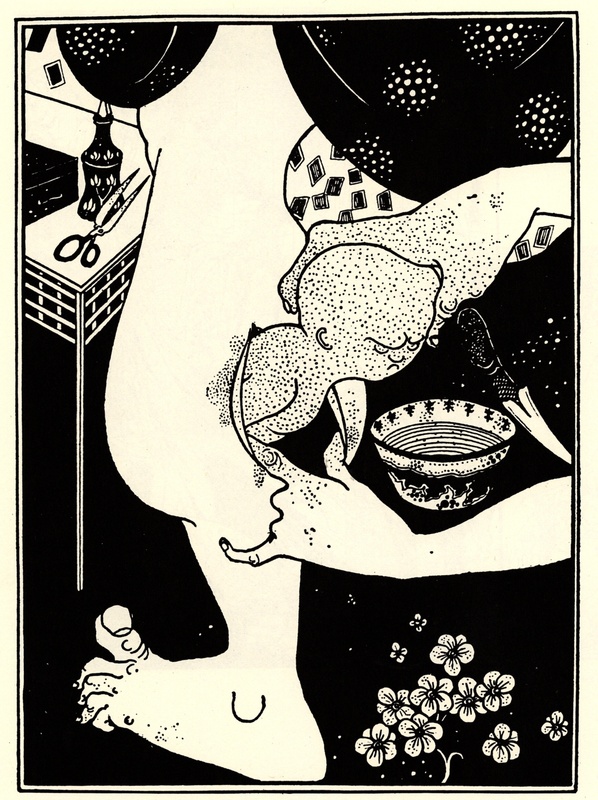 Reardon, "above all, it is a parody of literary 'liars' like Homer and Herodotus". Consequently, Lucian goes on to state that the story recounted in True History is about "things I have neither seen nor experienced nor heard tell of from anybody else; things, what is more, that do not in fact exist and could not ever exist at all. So my readers must not believe a word I say." He justifies the title by arguing that his is the only truthful mythological story ever written, inasmuch as it is the only one that admits that it is all lies. He also promises a sequel; later critics point out that this is the greatest lie of all. ...True History may properly be regarded as SF because Lucian often achieves that sense of "cognitive estrangement" which Darko Suvin has defined as the generic distinction of SF, that is, the depiction of an alternate world, radically unlike our own, but relatable to it in terms of significant knowledge. "The king of the inhabitants of the Sun, Phaethon," said Endymion king of the Moon, "has been at war with us for a long time now. Once upon a time I gathered together the poorest people in my kingdom and undertook to plant a colony on the Morning Star which was empty and uninhabited. Phaethon out of jealousy thwarted the colonization, meeting us halfway at the head of his dragoons. At that time we were beaten, for we were not a match for them in strength, and we retreated. Now, however, I desire to make war again and plant the colony." "I will merely remark that the sprightliness and sophistication of True History make it read like a joke at the expense of nearly all early-modern science fiction, that written between, say, 1910 and 1940." Modern equivalents, combining science fiction and parody in equal measure, may be found in Voltaire's Micromégas and the works of Douglas Adams. In the True History of Lucian, the satire is too broad and exaggerated. His work is a heap of extravagancies, put together without order or unity, and his wonders are destitute of every colour of plausibility. "Animal trees," says Dr. Beattie in his excellent Essay on Poetry, "ships sailing in the sky — armies of monstrous things travelling between the sun and moon on a pavement of cobwebs — rival nations of men inhabiting woods and mountains in a whale's belly, are liker the dreams of a bedlamite than the inventions of a rational being." Unless indicated otherwise, the text in this article is either based on Wikipedia article "A True Story" or another language Wikipedia page thereof used under the terms of the GNU Free Documentation License; or on original research by Jahsonic and friends. See Art and Popular Culture's copyright notice. This page was last modified 15:50, 12 June 2018.